We offer the full range of PADI courses, from the introductory Bubblemaker course for young children, to Assistant Instructor training for dive professionals. 1a) Unsure whether diving is for you? Sign up for a Try SCUBA class: at only $49.50 it’s an inexpensive way to find out if diving is something you’d like to do, and you can apply the cost of this course to your Open Water tuition if you decide to go ahead. Click here to get signed up. 1b) Know you’d like to start exploring the underwater world? Sign up for our Open Water Diver certification. Once you have your PADI Open Water certification you’ll be able to rent gear from any dive shop in the world, and you’ll have the confidence and skills to go diving anytime. Click here to get signed up for a Open Water Diver course. 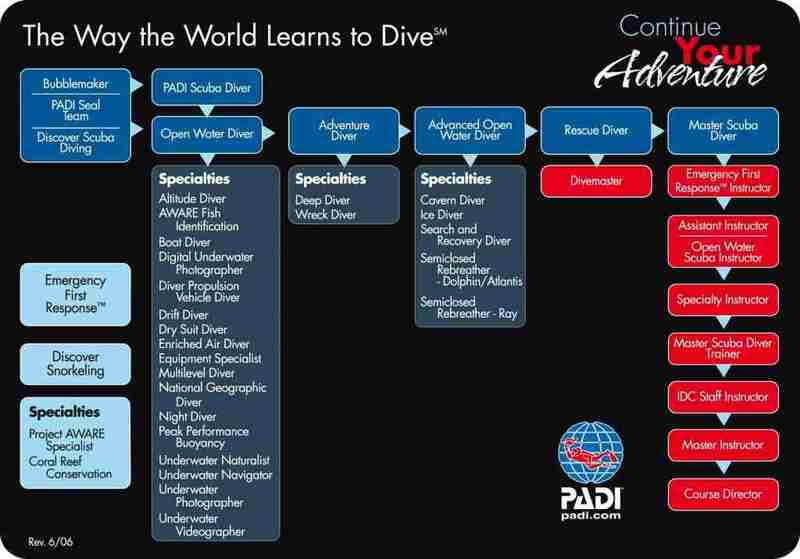 2) After attaining your Open Water cert, the next step is to become a PADI Advanced Open Water Diver. This certification allows you to safely go below the Open Water depth limit of 60ft, and teaches you cool new skills such as underwater navigation, performance buoyancy control, night diving, and more! Click here to get signed up for Advanced Open Water. 3) The possibilities are endless! Get certified to dive in a dry suit (very nice for our PNW waters), become a Rescue Diver (advanced skills for helping out yourself and your buddies in any emergencies) or become a dive professional by getting your PADI Dive Master certification. Get started on your diving journey today!